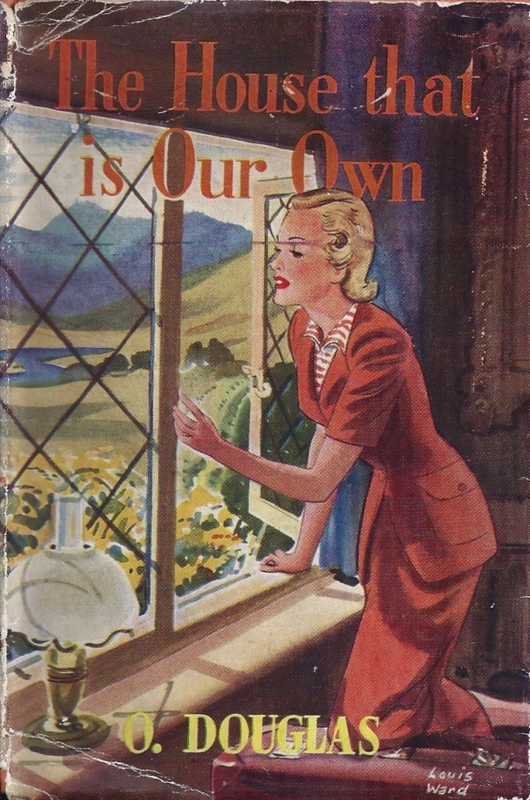 The House that is Our Own by O. Douglas ~ 1940. This edition: Nelson, 1951. Hardcover. 314 pages. And I’m adding a whole point for the glowing descriptions of the Canadian foray which rounds off the book. I’m all proud and patriotically glowing now, after reading about how wonderful my native country was in 1940 or thereabouts, in every aspect. The author is absolutely right – Canada is really big. And it is still stunningly beautiful, and the people are really nice. Hurray for us! Those of us already under the quiet spell of O. Douglas’s story-telling charm will have no trouble in understanding the appeal of this gentle domestic tale. Those unfamiliar with her may be bemused a bit at what there is to get excited about, in which case I can only recommend that one dip into one to see for yourself, preferably something like The Proper Place, which will let you know if this sort of thing is for you. Here we have the tale of two friends, Kitty and Isobel. Kitty is well into middle age, and has recently been widowed after several years of travelling abroad with her seriously ill husband, seeking treatment for his unspecified condition. Her furniture is in storage, and she has taken rooms in a London residential hotel, where she is befriended by a younger fellow resident, Isobel (all of twenty-nine, and financially independent due to a well-invested legacy), who has been living there for the past six years. Some months have gone by, and Kitty is starting to emerge from her deepest mourning, and she has started to yearn for a quiet place she can truly call her own, a place to rebuild her life along its new lines. Encouraged by Isobel, Kitty leases an flat, and goes about getting herself all set up, with delightfully homely details. Kitty settles contentedly into her new digs, hiring a live-in housekeeper, the widowed Mrs. Auchinvole, whom the two friends then hold up to gently snobbish ridicule from time to time – the most jarring note in the book, to me. Kitty feels she must continually snub “The Auchinvole”, as she calls her employee to Isobel, finding in her an inclination to over-familiarity and a “We’re both widows together” attitude of emotional kinship, which Kitty finds vaguely distasteful. A vignette of class-conscious attitudes of the times, perhaps, and yet another small clue as to the resulting dearth of women willing to enter “service” in just a few years time, post-WW II. Isobel, inspired by her friend’s nest-building initiative, decides to look about for new surroundings too. In her case, the country appeals. Through Kitty’s connections in the Border area of Scotland, Isobel rents rooms in the Scottish village of Glenbucho, in the farmhouse of a sadly diminished estate, whose young laird has had to sell up most of is land, and who has since moved to Canada, leaving his family home sadly vacant. Though she hasn’t come away an her retreat intending to purchase a house, Isobel finds herself doing just that, and she becomes effortlessly absorbed into Glenbucho’s feudal society, in which she dons the mantle of “Lady of the Manor” with effortless ease and total acceptance by all and sundry. Much discussion ensues about the arrangement of the rooms in her new home, and the hiring of a married couple (complete with adorably realistic small boy) to look after things; the descriptions of the inner workings of the new society Isobel finds herself in is a gently fascinating interlude. And when Isobel ends up making the acquaintance of the young laird himself, one Gideon Veitch, engineered by the author most ingeniously and involving a marvellously luxurious, all-expenses-paid trip to Canada (with another adorable small boy as the raison-d’être), things play out most predictably and heart-warmingly well. A happily feel-good little story, saved from too-saccharine “niceness” by the frequent self-examinations of the heroines – they see their own flaws and mourn them, though sometimes they chose not to remedy such, which I like – so true! – and by the sourpuss and opinionated characters who pop up here and there, to add a dash of vinegar and spice to the narrative meal. 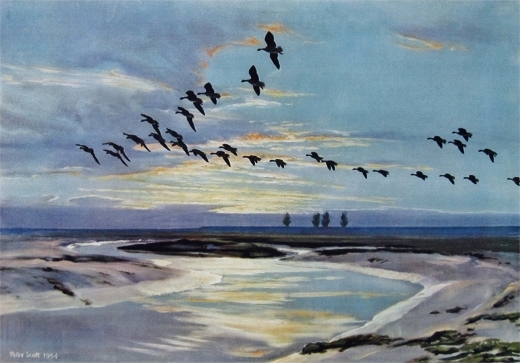 World War I is a constant backdrop to the story; many characters have had their lives turned on end by it, and are still in recovery mode; World War II is looming, and the “situation in Europe” is discussed throughout with sombre foreboding. Though the characters refuse to let themselves dwell on such negativity for any length of time, one can sense them steeling themselves for the bitter times to come; the author makes it very clear that the gentle people of her narrative have an inner core of toughness which will see them through trial and tribulation, though they spend these peaceful days concerned with societal trivialities and creature comforts, and “What’s for tea?”, and the colours of their drawing room walls. I enjoyed this small novel a lot. So happy to have found it; our recent foray into the used book stores of that most “English” of Canadian cities, Victoria, B.C., resulted in four new-to-me O. Douglas titles to add to my “comfort reads” bedroom shelf. Next up, Pink Sugar. With Olivia and Eliza for Common waiting in the wings. Perhaps I will save those for winter reading, though it’s so tempting to just gobble them all up right now! I’ve been looking out for a copy of this but have yet to find one (clearly, I haven’t been making enough trips over to Victoria). It sounds wonderful. I really love O. Douglas and with added Canadian content, who could resist? I’ve read all three of the other O. Douglas books you have waiting in the wings and can’t wait to hear what you think of them. I loved Olivia! It does sound wonderful – I’ve only read Pink Sugar, and loved that, and have been looking for some of her work. I’ve just finished Pink Sugar, and enjoyed it. But I do believe that there I place some of the other stories even higher. This one – The House that is Our Own – is good, and the Rutherfurd books – The Proper Place, The Day of Small Things – are even better. Her work is definitely out there; I’ve managed to collect most of these books fairly easily, as they have all gone through many printings. I’ve had to order most of them online, though this last trip to the city was unexpectedly rewarding – in two used book stores her titles were well-represented, and I cherry-picked them to take the ones I didn’t already have. Nice tight (though well-read) copies, most in dust-jackets. Obviously highly prized and well cared for by previous owners. 🙂 The thriving and busy (three floors of books) Russell Books in Victoria (BC) (http://www.russellbooks.com/) was one source; the other was Victoria’s Shepherd Books (http://shepherdbooks.ca/index.html), with a smaller but very choice inventory of intriguing titles – well chosen stock. Well, I think it was very nice of me to leave them for you at Russell Books, just knowing you’d be there a week later and wanting them. :^). I looked at them all (5 or 6) and decided I could really afford only one, so I selected The House that is our Own, because of the Canadian connection mentioned in the flap blurb. Same edition as pictured above. I’m glad you gave them a good home. Shepherd books is just a bit further along Fort Street; I think it is in the next block. Right beside the guitar store, which wooed my husband and gave him some happy browsing time while I went through the books. Shepherd’s is small, but has a rather choice selection of a bit of everything; the owner seems to know his stuff. Lots of contemporary fiction, and a decent section of antique/vintage, which is where I found the O. Douglas books. When I expressed an interest in the author the owner went into his storage area and found two more, one of which I bought as well: Taken By the Hand. I forgot about that one; it was tucked at the very bottom of the rucksack; just came to light the other day when I was putting things away. I’m glad you found at least a few things to take home as souvenirs of your trip; I find that I vividly remember where I find special books, and who has given them to me, and that just thinking of the book brings back the circumstances in which it was first acquired/read. Now I’ll ramble on about the book itself…. When I got home to Toronto, I checked Anna’s 1945 memoir, “Unforgettable, Unforgotten.” Sure enough, Anna visited her brother in Canada twice in the late 1930s and her travels very much coincide with Isobel’s. I enjoyed this book a lot. I find many of her books (this one included) are thinnish on plot, but strong on characters, episodes and description. Especially of Things Domestic. We get the double delight of first Kitty’s household creation, and then Isobel’s. That Isobel met the former owner of the house was no surprise, but I was surprised (and pleased) by the final domestic arrangements. Of course, with the war looming, all bets would really be off in 2 years. Miss Douglas knew this, writing in 1940. I actually thought originally that Isobel would meet and marry Peter Scott. I admit, I didn’t realise he was a real artist. Thanks for including that image, above. Now that I’ve looked him up, I see there’s lots to learn about him and his life. This is one of my favourite O. Douglas books. Must read some Emily Carr soon; it’s been a while. Thank you for that nudge. Aw, what a dear book it sounds like. I cannot get enough of descriptions of arranging rooms — I think because I have absolutely no native talent for arranging things but a very deep appreciation for the aesthetic of comfort. I’ll have to see if I can rustle up a copy of this.